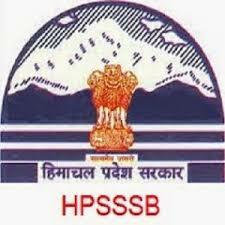 HPSSSB has published the latest recruitment notification to fill up multiple posts in various department in Himachal Pradesh Govt Offices. Candidates who are eligible and interested they can apply online mode by visiting the official site of HPSSSB before the last date. Applicants also check other details related to HPSSSB Syllabus 2017, HPSSSB Solved Question Papers, Exam Pattern, Syllabus in PDF, Study Material, hppsc investigators question paper 2017, PDF Books, and Exam Date to get a complete Idea on Exams.